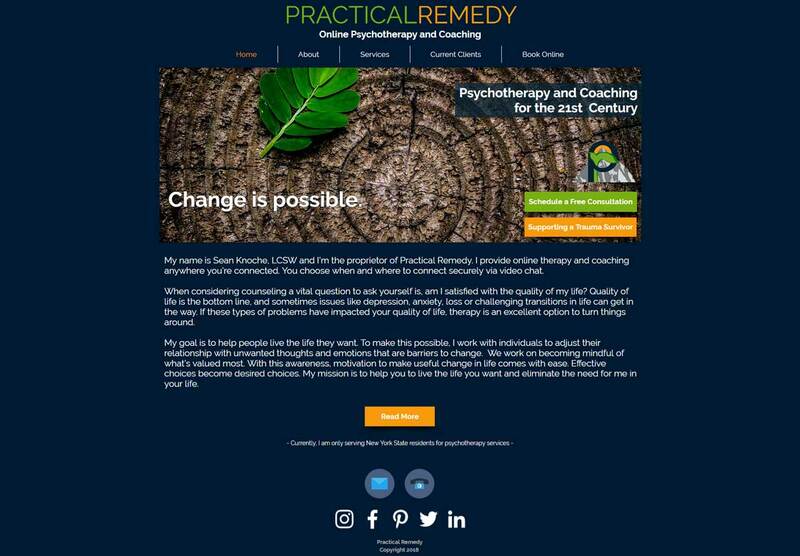 Practical Remedy is a practice who offers face-to-face and online therapy and coaching. Sean, proprietor, approached me to redesign his website. He wanted change the layout of his website, making it more modern looking. He also needed help with his SEO to bring in more clients.